French Beading is a traditional craft with a long history. Nobody is quite sure why it is called ‘French Beading’ as it is thought to have originated in medieval Venice. 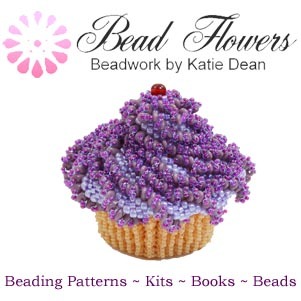 This craft is all about using seed beads threaded onto wire which is then shaped to make flowers. It is believed that the craft began when the wives of glass blowers (from Murano in Venice) started using the tiny seed beads formed from off-cuts of glass, to make flower to sell for an additional income. French beading has been going in and out of fashion ever since and has been practised throughout Europe and all around the world. It was particularly popular in Victorian times, but it acquired an unfortunate association with death as these flowers were commonly made into funeral wreaths. 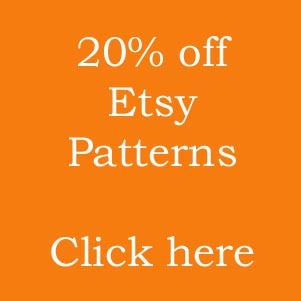 Today, French beading has been undergoing a huge resurgence with gorgeous arrangements being made by talented beaders. 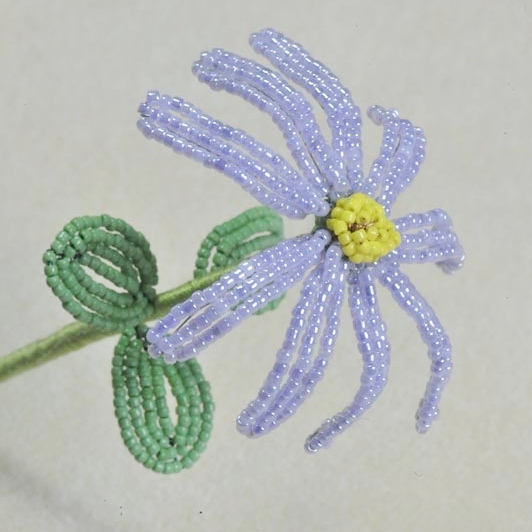 The basic idea behind French beading is to thread tiny seed beads (usually size 11) onto craft wire and then shape this to form individual petals or leaves which can be assembled into complete life-size flowers. 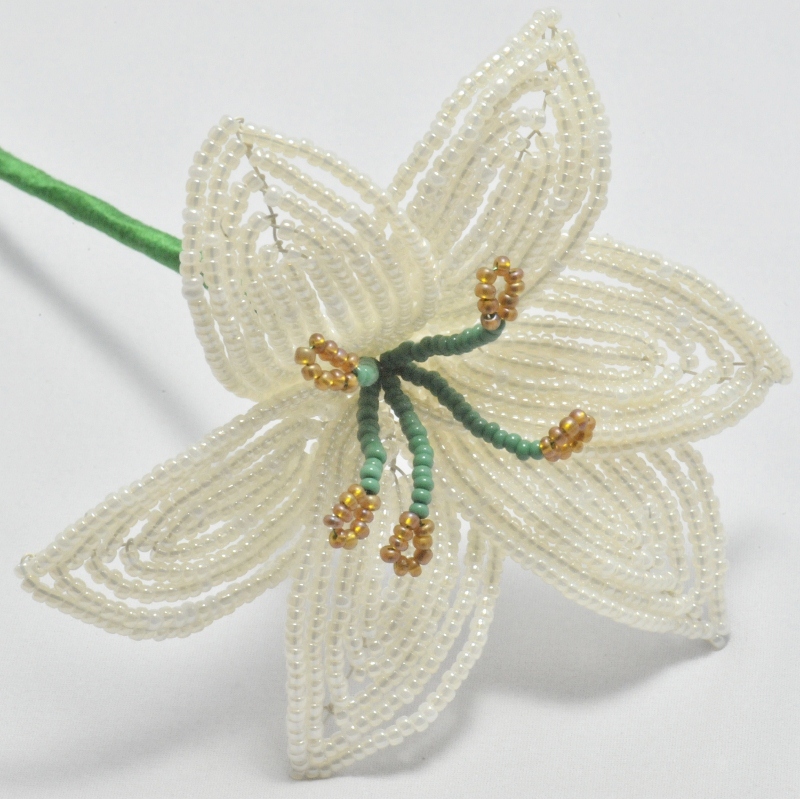 The flowers, as you can see from the photo above, can require thousands of beads, so there are various methods for threading these onto the wire. If you have a lot of time and patience, you can do this by hand! However, I would recommend using a bead spinner. 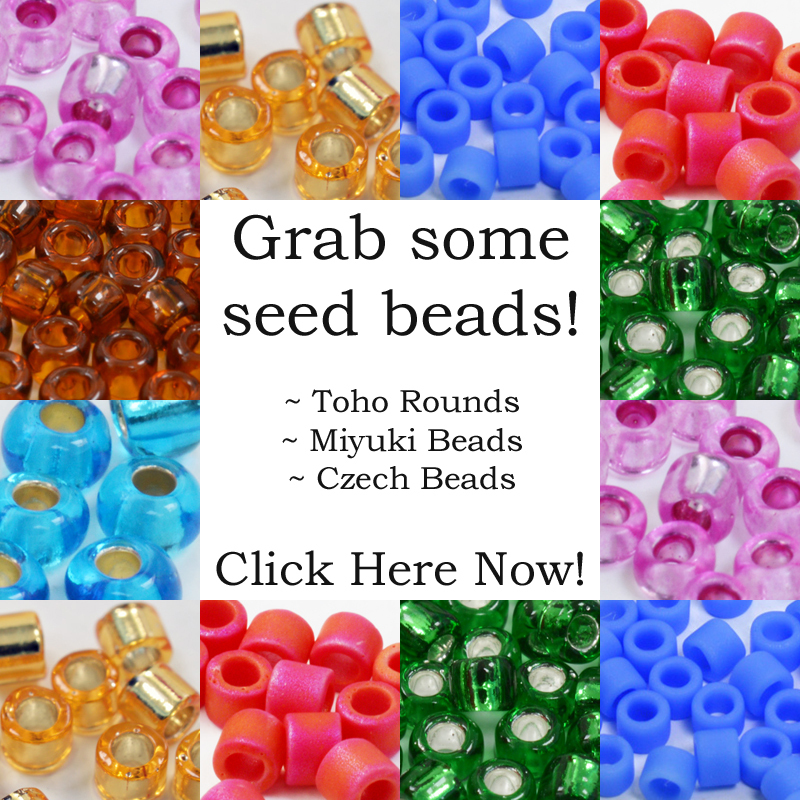 This is a handy gadget that will thread the beads automatically. You can see one in action here, along with demonstrations of two other methods for threading beads onto wire. 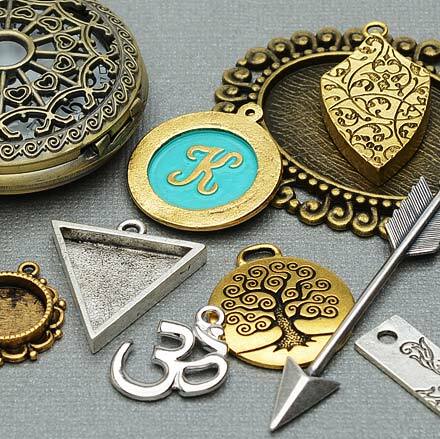 Once you have all your beads threaded, you have a choice of different French beading techniques to use, depending on the type of flower or shape of petal or leaf you want to make. The most basic flowers can be created using one of a series of the ‘loop’ methods. These include the single loop, double loop, three row crossover and four row crossover. You can make strings of these loops that can be formed into a flower, for example, a daisy. Just add a separate centre to complete your flower. 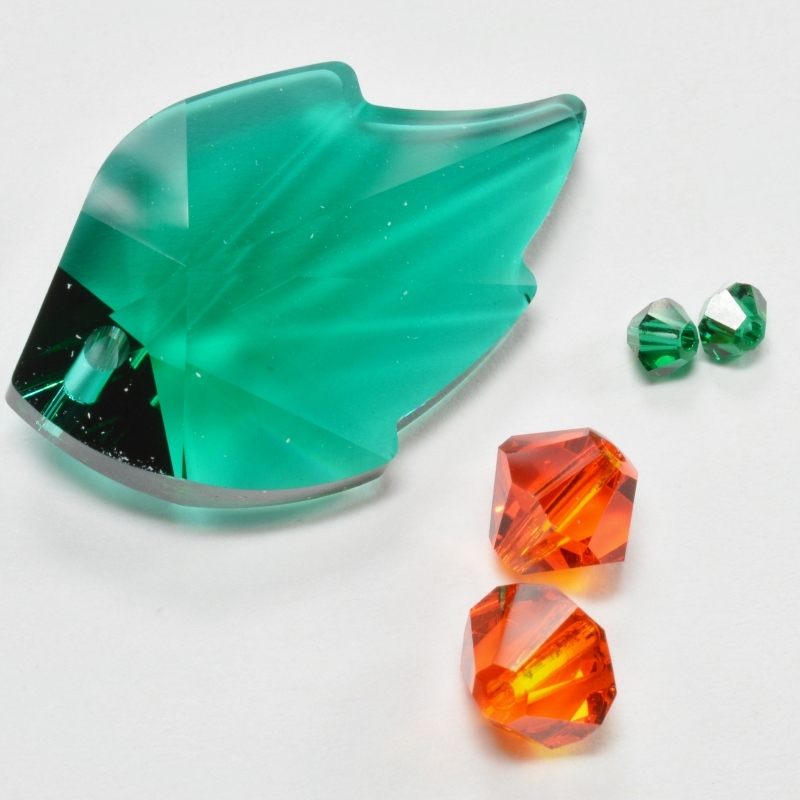 If you want to make leaves for your flower, or a flower that is made from individual petals, like a rose, or a lily, then you will need to learn the shape the tips into rounded or pointed ends, depending on the type of petal shape that you want. There are also variations on this technique which can be used to create dome-like shapes, like the centre in the daisy pictured above. Or you can make donut shapes to be used as a calyx for a flower. Once you have learned the basic French beading techniques, there are more advanced variations. 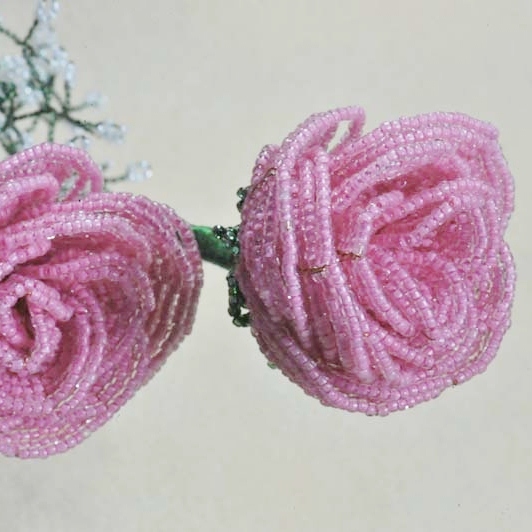 For example, large petals can be strengthened by lacing across them to hold long rows of beads together. You can play around with the direction in which you wrap your wire so that it shows on different parts of the petal. You can also split stems to create heart-shaped petals or leaves. My very first experience of beadwork was French beading – it’s a very accessible way into working with beads and the work it creates is stunning. Complete beginners can create fabulous results without needing years of experience and practise. I very quickly moved into making wedding bouquets with my flowers. I have now written a book on the subject, which includes video demonstrations of all the techniques, so if you are interested in learning more, you can buy the book here, or book onto one of the workshops that I teach. Good afternoon, are there any exhibitions in France that feature beading? I see several shows covering quilting, sewing and fabrics, but I am unable to find one that features beading.